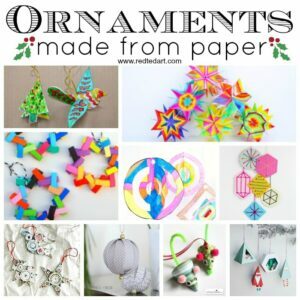 Paper Christmas Ornaments are SO FUN to make. 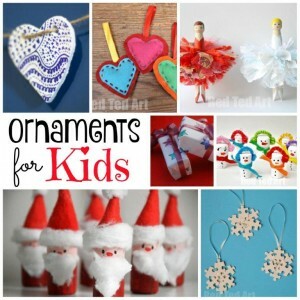 They can be surprisngly easy (depending on what technique you use) but are most definitely versatile and come in many different seasonal ornament designs. I love making the “paper bauble” variety and seeing what themes I can adapt them too. 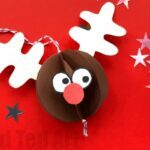 Of course just using colourful paper makes these paper baubles super easy and pretty.. however, you can also turn them into something new and decorative. 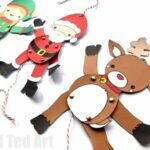 Recently we made some ADORABLE Paper Unicorn Ornaments.. and today we have these quirky, quick and fun Paper Reindeer Ornament. 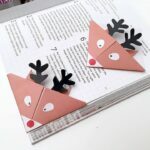 You may have spotted our similar but oh so different Rudolph Ornament that we also published recently… basically.. 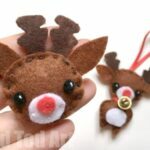 I wanted to make “a rudolph/ reindeer” and couldn’t decide on which version. 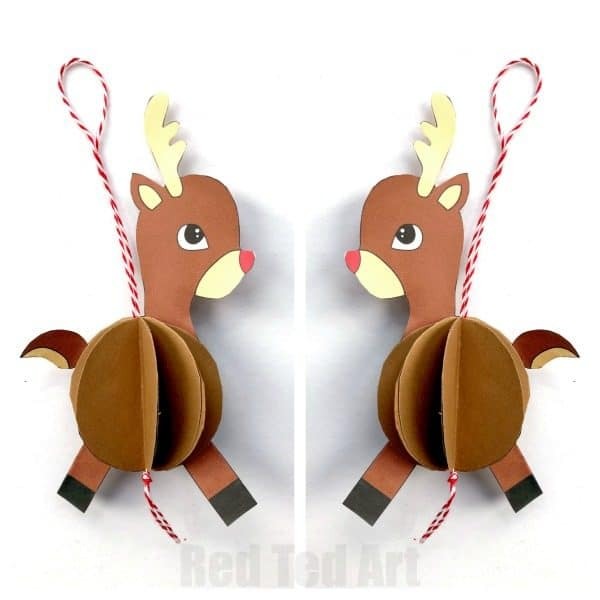 I think today’s reindeer ornament (complete with printable) is “prettier” or “cuter”, whilst our Rudolph ornament is simpler and more “fun”. Both a great (of course) for different reasons! 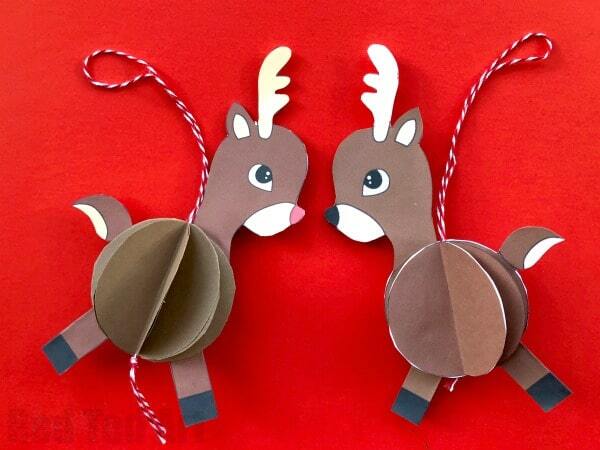 You can make this as a Pop Up Reindeer Card too. We have some super handy printables for you (as increasingly frequent!! Teehee! 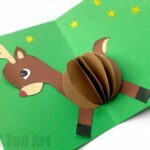 )… and you have a choice of using – the TEMPLATES ONLY (I have included a version where you can print out your own circles) OR you can use the “head/ legs and tail” part of the printable only and combine with brown paper or brown construction paper. I prefer doing the latter – as the finish is a little neater! 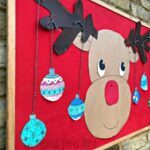 It doesn’t matter if your brown paper doesn’t exactly match the printables…. 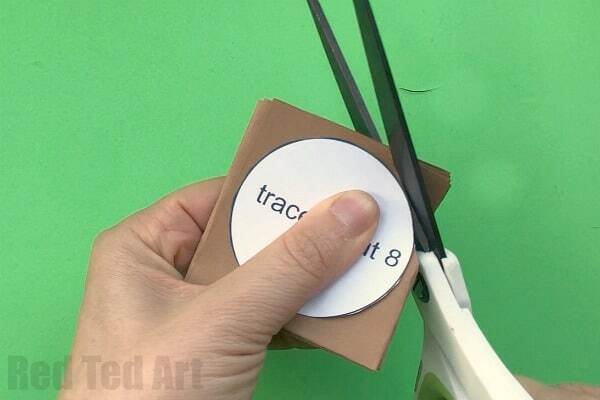 Some brown paper (enough to cut 8 medium sized circles) – if you are choosing this option! 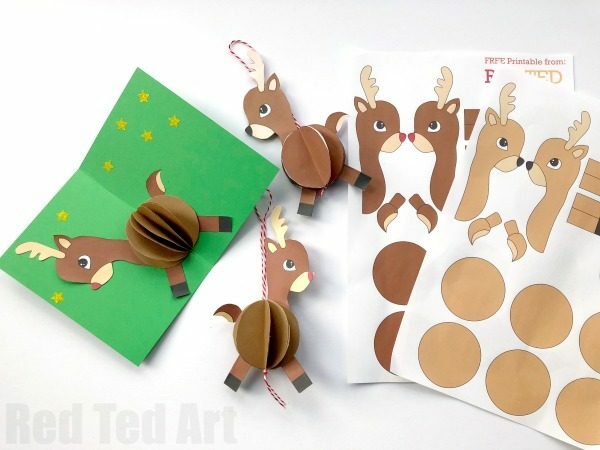 Learn how to make the 3D Pop Up Reindeer Card here. The craft, I believe is really easy and quite effective. 1) Cut out 8 circle. You need to cut these as perfectly as possible for the finished effect to be at its best. Use the circle on your template (or a small cup to trace). 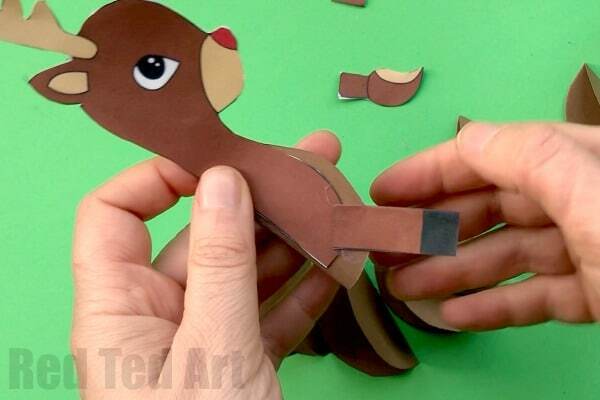 Or if you are using the FULL template.. cut out all 8 brown circles as neatly as possible. 2) Fold circles in half. Make a good crease. 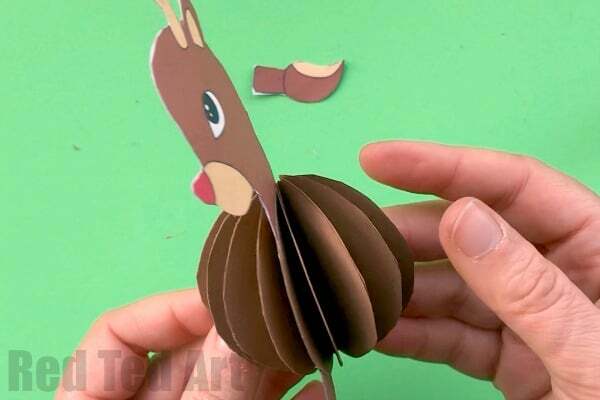 If you are using printed circles, the brown should fold into the INSIDE. The back of the paper (white) should be on the outside. 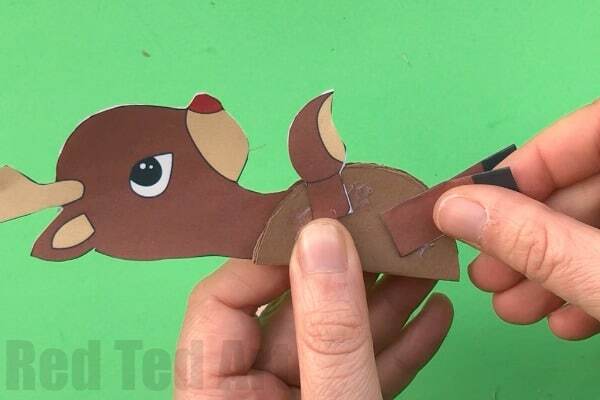 3) Cut our your Reindeer Body, Legs and Tails. You will notice “mirroring items”. Glue the heads together, the tails together.. for the legs, fold and glue. Trim a little if needed (e.g. if you can see bits of white peeping out). 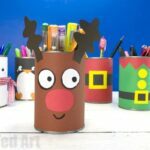 4) Take your Reindeer’s head and one set of legs and glue 4 of your brown paper circle halves to one side and four to the other..
5) Then add the tail and second set of legs. 6) Prepare some baker’s twine. 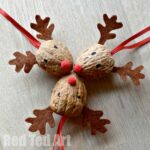 7) Add lots of glue and bring the top and the bottom half circle togethe to form your paper bauble. 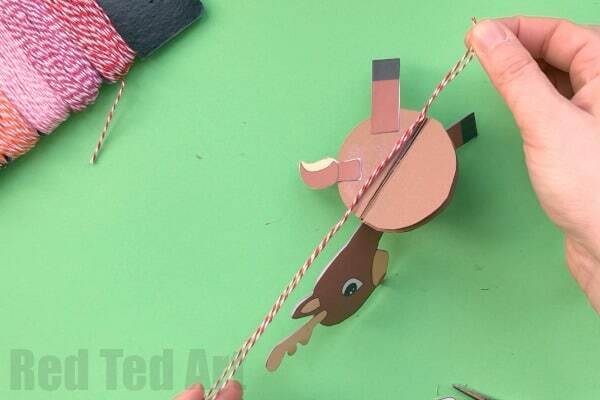 Your Paper Reindeer Ornament is now finished. Isn’t he cute? 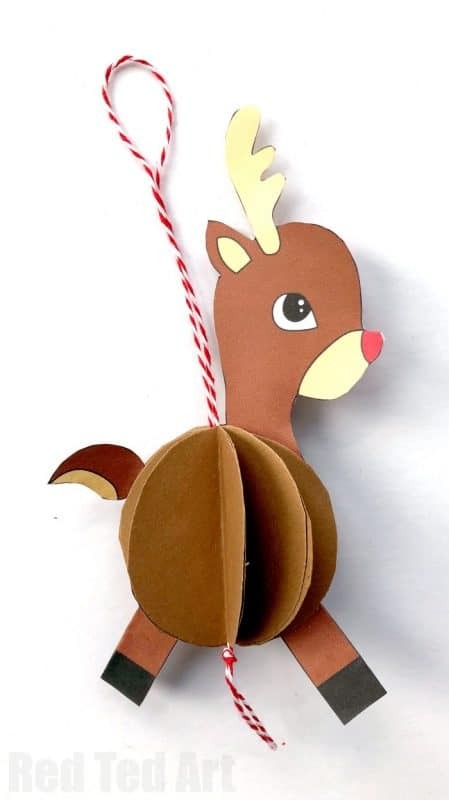 Don’t forget to check out the Paper RUDOLPH Ornament version too!